Loved for their comfort, speed and ease of handling, power catamarans are quickly becoming one of the most requested yacht charters in Croatia, New Zealand and across the Mediterranean. 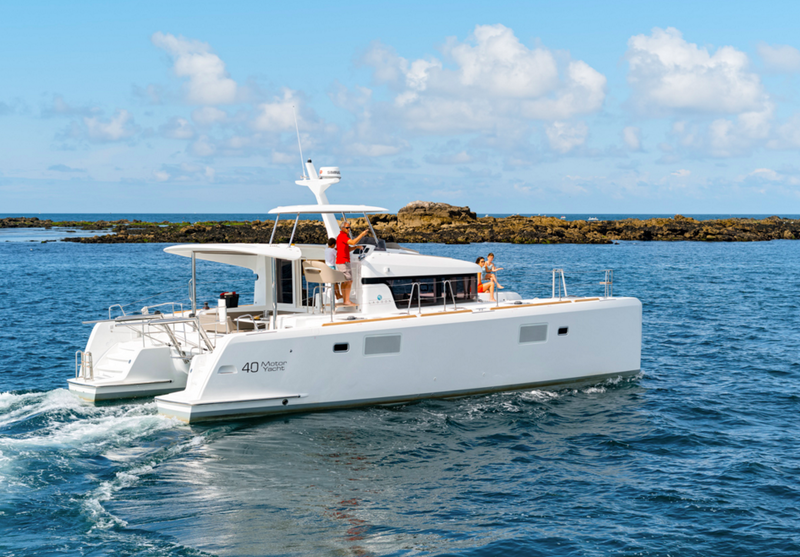 The Lagoon 40 Power Catamaran is no exception. Offering great fuel efficiency and Lagoon’s signature light and airy design, this cat has it all. Learn about this unique luxury yacht below and charter a Lagoon 40 with Zizoo. 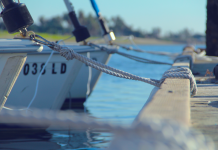 Get more out of your boat holiday. Charter a Lagoon 40 in Croatia this summer. Photo source @ Lagoon. When you choose to charter a Lagoon catamaran, you can expect a yacht that is both elegant and extremely comfortable. From the luxurious 630 MY, which we previously featured as our “Boat of the Week“, to the set piece they produced for the cult classic film, Waterworld, Lagoon is one of the most cutting-edge boat manufactures which continues to impress us year after year. 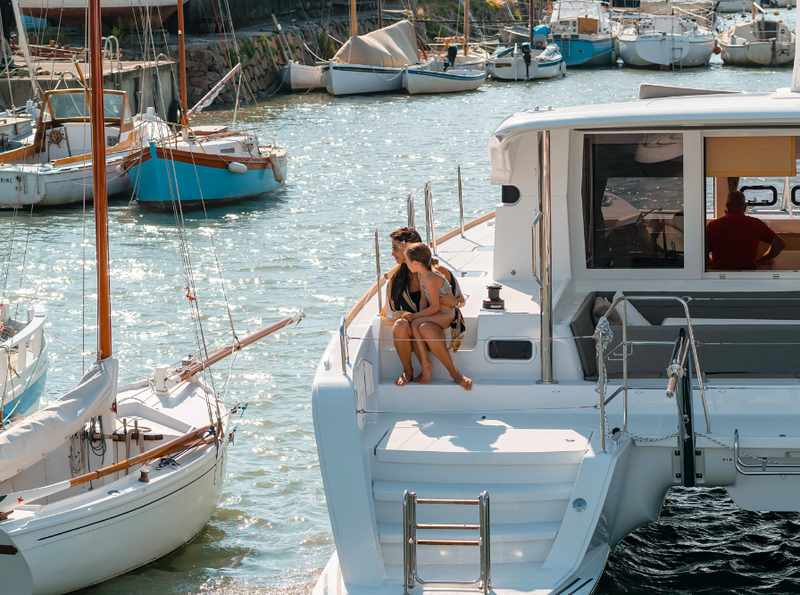 Their innovative designs and features enhance the joy and ease of driving a multihull yacht. Learn more about the history of Lagoon Catamarans and why we love catamaran charters. A Lagoon 40’s living areas and natural lighting will make you feel like you are on a floating villa. Photo source @ Lagoon. Why book a power catamaran? The vast and functional deck on the Lagoon 40 Power Cat is ideal for relaxing in the sun and dining al fresco. Photo source @ Lagoon. Though not as common as sailing and motor catamarans, power cats are sought for their easy handling and spaciousness. The design of a power catamaran helps facilitate air movement, meaning there is less resistance and therefore, the ride is smooth and less fuel is needed to travel.The Lagoon glides easily on the waves so even people that are easily prone to sea sickness will hardly notice that they are cruising. They also make an ideal vessel for long distance and open ocean crossings. 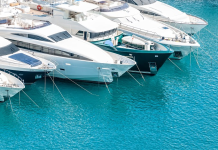 Here’s 5 things you didn’t know about catamarans. The design of the Lagoon 40 is based on the popular 39 sailing cat, which was made for easy crossing, particularly in open seas. 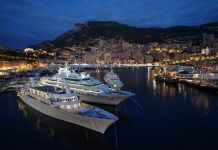 Sailors will be pleased to know that, even though the cat offers ample space for a cruising yacht, it is not difficult to enter smaller ports thanks to its compact size. Enjoy your meals with a view in Lagoon’s masterfully designed interior spaces. Photo source @ Lagoon. Of course, if you plan to charter a Lagoon 40, you’ll most likely want to be spending most of your time on the deck. However, the handsome interior also begs you to stay indoors. 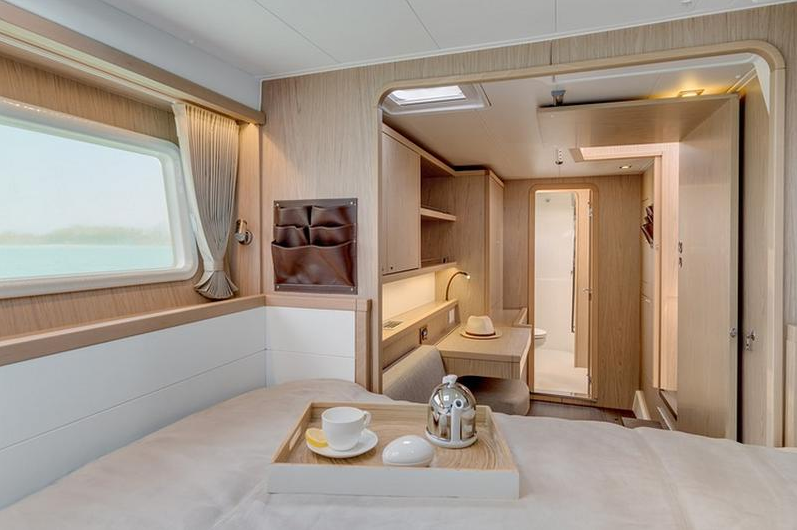 From the gorgeous master suite to the light-filled dining area, you may want to spend some extra hours enjoying the views of the sea from inside the boat. Meanwhile on deck, the captain of your boat (which can also be arranged with Zizoo) will have a splendid time at the helm, which is well sheltered from the sun and wind. 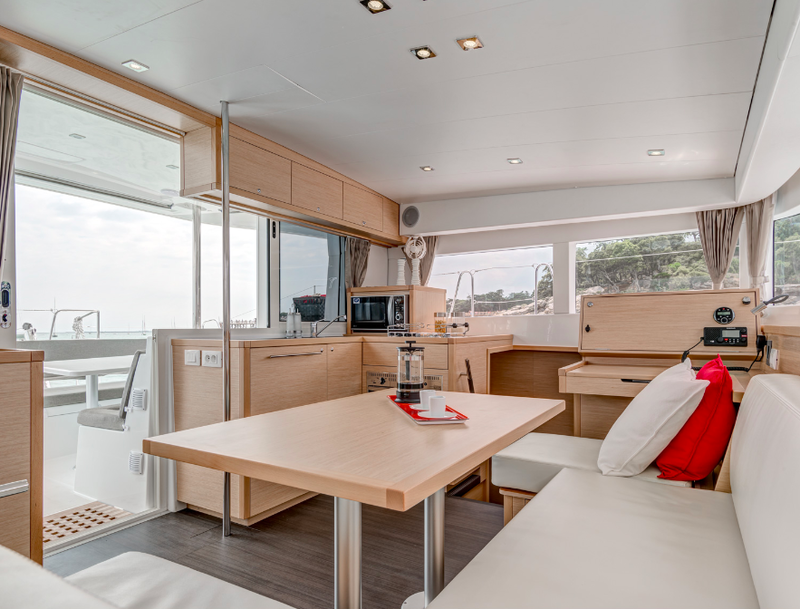 You can also easily navigate the boat by foot, thanks to the Lagoon 40’s wide sidedecks. Parents will also be pleased to know that this model is designed with safety in mind. Be the envy in every harbour. Charter the Lagoon 40, the ultimate power catamaran. Photo source @ Lagoon. 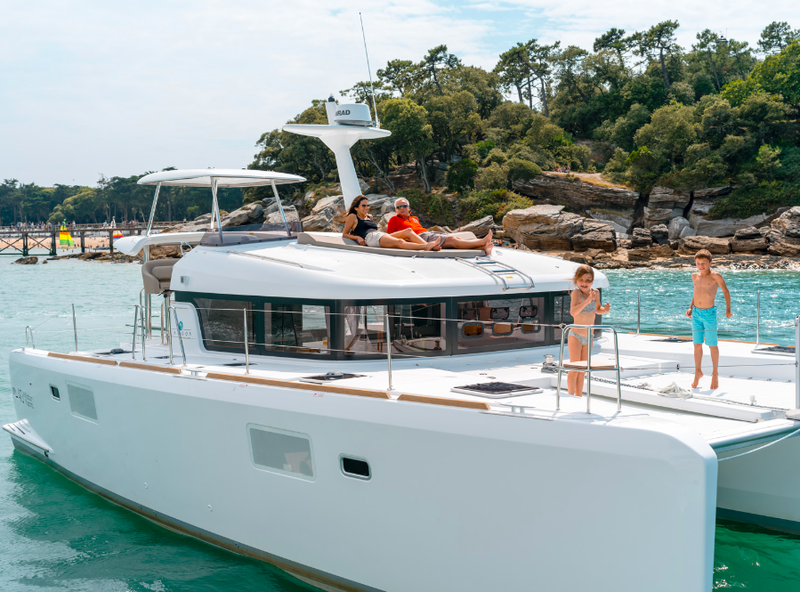 With its iconic stylish, yet comfortable design, fuel efficiency, large social spaces and easy handling, the Lagoon 40 is, without a doubt, the ultimate power catamaran to charter this year. Charter a new 2017 Lagoon 40 power cat in Croatia and get ready to spend your next boat holiday traveling in style.